Property 10: TWO HOLIDAY HOMES FOR 8 PEOPLE plus 2 Cots. PLEASE NOTE price shown is PER Gîte. Property 21: BORDEAUX near Mansion combines tranquility, charm and refinement. 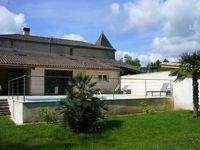 Property 23: Detached house in the countryside, near shops. Cottage with porch, large private pool and spacious garden. Property 34: Cottage with porch, large private pool and spacious garden. Beautiful cottage with breathtaking views of the countryside, calm assured. Property 38: Beautiful cottage with breathtaking views of the countryside, calm assured. Relax and enjoy our stunning 4* property with private pool and lake. Property 49: Relax and enjoy our stunning 4* property with private pool and lake. Serge and Corinne were great hosts. The property is an idyllic blend of super modern high end with beautiful rustic traditional. 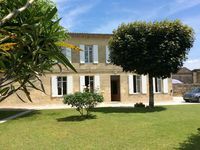 Great pool, lovely village and an easy drive to wineries, st Emilion, Libourne Bordeaux and the coast.